Valiant: an artificial intelligence pioneer. Known in computing circles as the “Nobel Prize in Computing,’’ the award is bestowed by a scientific society, the Association for Computing Machinery, and includes a $250,000 cash prize funded by Intel Corp. and Google Inc. The prize is named for Alan Turing, a British mathematician and code breaker during World War II who is known as a father of modern computer science. “This connection with the achievements of the previous winners, and of Turing himself, is more than anyone in my field can reasonably expect,’’ Valiant wrote in an e-mail. 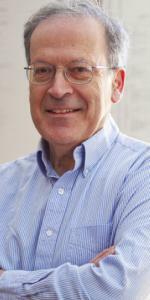 He will receive the award on June 4, at the association’s annual awards banquet in San Jose, Calif.
As an example, Chayes cited Valiant’s 1984 paper “A Theory of the Learnable’’ as a landmark in the field, saying it led to the processes that allow computers to discern which e-mail messages are viewed as annoying, and which Web search results are most relevant. Valiant’s work has “an adventurous aspect,’’ said Jon Kleinberg, a Cornell University computer science professor who endorsed the Harvard professor’s nomination for the award. “He takes on questions that are fundamental, but very hard to attack, like how do intelligent agents learn? Or how does the brain compute?’’ Kleinberg said. The science of machine learning, the type of artificial intelligence work Valiant helped to pioneer, develops the tools by which computers can solve problems on their own rather than rely on preprogrammed answers, Kleinberg explained. One real-world application is speech-recognition software, he added. Valiant’s win brings the prize to Cambridge for the second time in three years. A Massachusetts Institute of Technology professor, Barbara Liskov, won in 2008. She was recognized for the development of object-oriented programming, a method used to write most of the software programs that power personal computers and the Internet. Calvin Hennick can be reached at calvinhennick@yahoo.com.